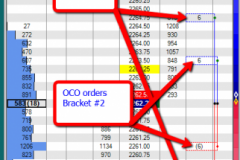 How to Place Multiple Bracket Orders on the PhotonTrader Matrix. 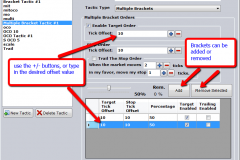 Multiple Bracket orders in PhotonTrader are considered Tactics, and are created the same way that Standard Bracket, and are set up by using the Set Up button at the bottom of the Matrix Window, selecting New Tactic, and inserting the desired name for the order group. 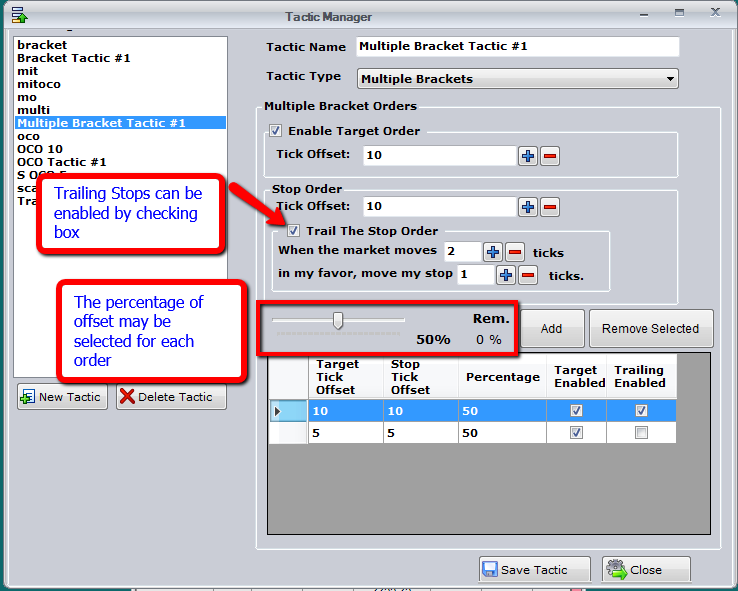 Click OK.
Once the Tactic has been named, select the Tactic Type from the dropdown Menu. 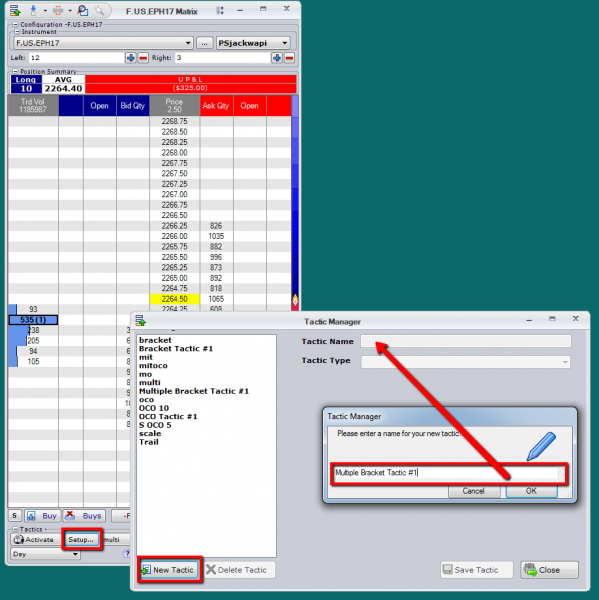 Once the Order Type is selected, all of the desired conditions can be configured. Multiple Brackets can be added or removed by clicking on the Add or Remove button. 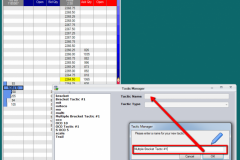 In order to change the Stop/Limit placement on a specific order, select that order by left clicking on the line, and use the +/- or type in the desired offset value. The percentage of the position that each Bracket Order applies can be changed via the % Slider. 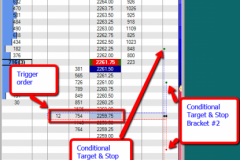 Trailing Stops can be enabled by checking the Trail Stop Order for the highlighted Bracket. Save the Tactic when configuration is complete. The Multiple Bracket Order can be enabled by selecting the condition from the dropdown, and clicking the Activate Button . 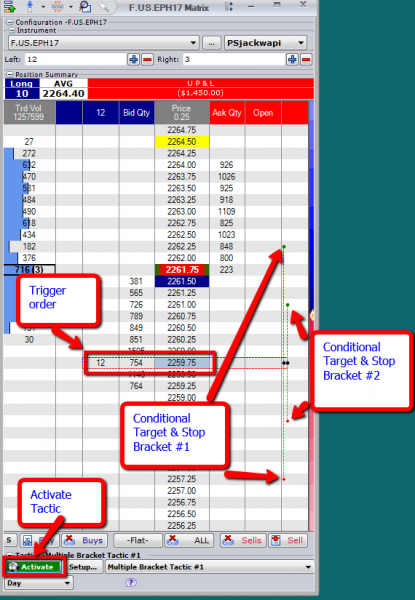 The next Order placed will be the Trigger Order that will initiate the Multiple Bracket Order once elected. 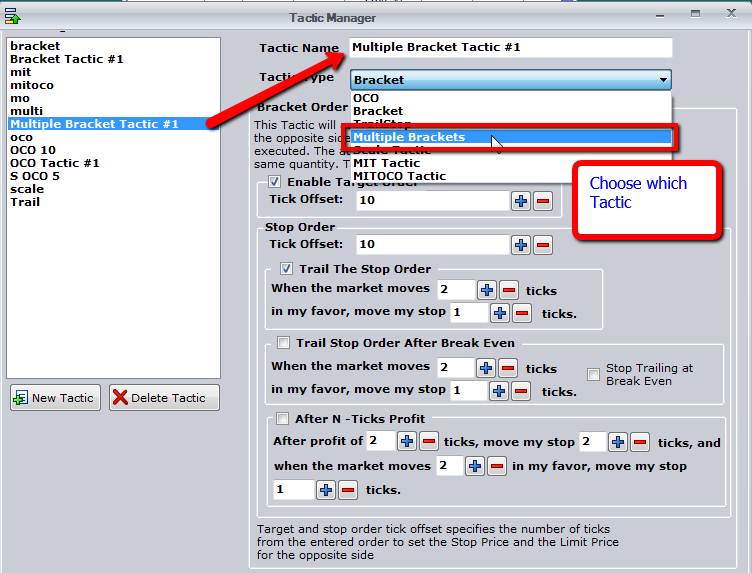 The Trigger Order can be Modified pre execution by left clicking on the order, and dragging to the desired price. 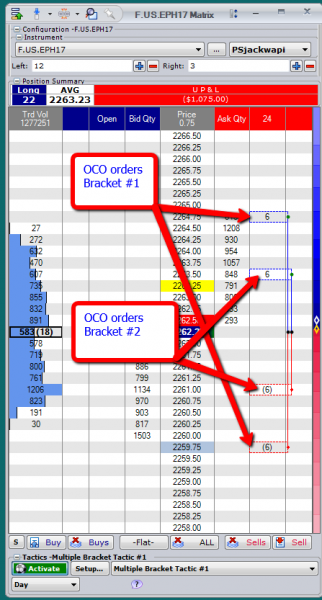 When the Trigger Order has been elected, the Conditional Stops and Limits will be placed as OCO Orders. 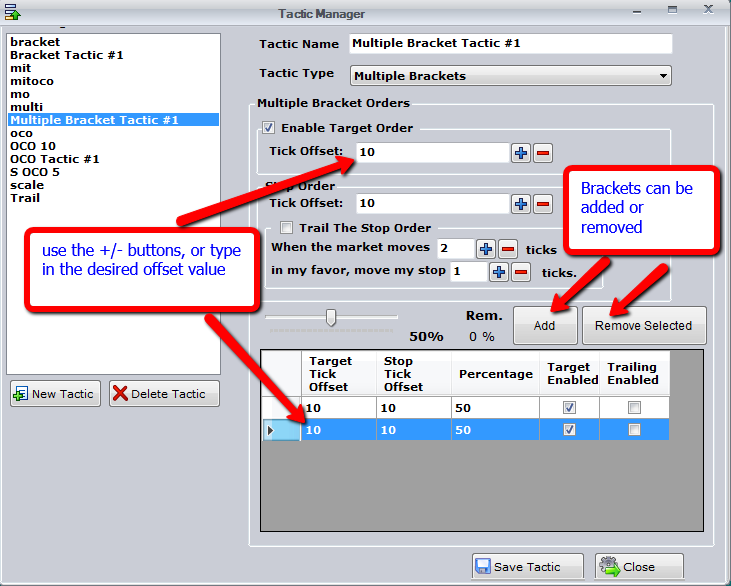 The Conditional Orders can be modified once the Trigger Order has been elected. 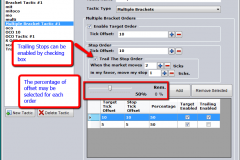 The entire Order can be canceled by right clicking on the Trigger Order, or Using the corresponding Cancel Order at the bottom of the Matrix.